Michael Eavis was training for the merchant navy and was only 19 years old when his father sadly died of cancer. As the oldest sibling he came back to run the farm where he was born and raised. Keen to make the farm work, he helped fund the farm by working a day shift in the coal mine earning £25 a week. Keen also on pop music from an early age he looked for new and exciting ways to help the farm prosper. 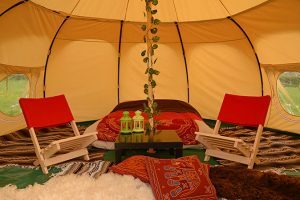 The Glastonbury Festival idea came from inspiration while watching bands like Led Zeppelin at the Bath Blues Festival, an open-air concert at the Bath and West Showground in Shepton Mallet. Glastonbury Festival has grown and grown but it still brings to life the free spirit of a special place. It started as a few people having a party in a field in the 1970s and has grown to one of the biggest and most famous festivals in the world. 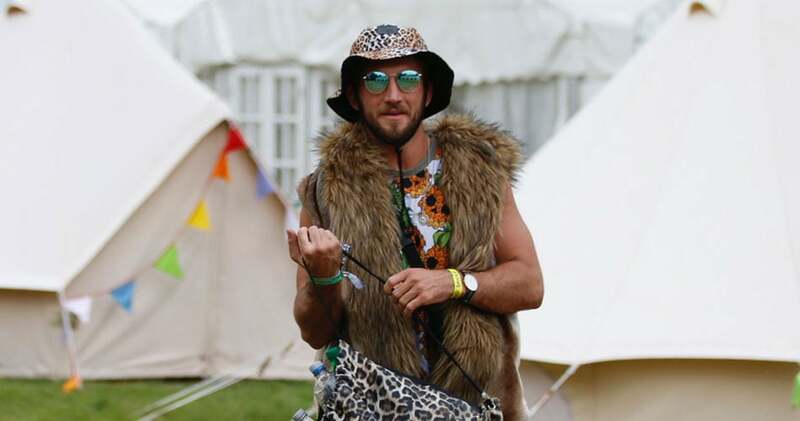 Glastonbury Festival appeals to a wide range of people from the organisers and punters, security or fence jumpers, families, hippies, yuppies and even yippies (posh hippies). After a fallow year in 2018 Glastonbury Festival of Contemporary Performing Art is back from the 26th to the 30th of June 2019. The world famous festival offers something for everyone. You can find incredible music, dance, comedy, circus, cabaret, theatre, art and independent way out stalls selling beautiful things. The festival now offers a huge range of food and drinks with influence from all over the globe. The festival attracts a massive range of international acts and artists. Glastonbury Festival has been lucky enough to witness some of the best live musicians and performers in the world. Did you know Glastonbury Festival Ltd donates most of its profits to charities Oxfam, CND as well as local charities and community groups? Glastonbury Festival Ltd projects include purchasing and restoring the Pilton Tithe Barn for the whole village to use and helping young people who have lived in the village with affordable housing schemes. The first festival Pilton Pop, Folk and Blues Festival was in 1970. 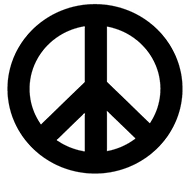 It was widely influenced by hippie ethics of free movement in the early 70s. The Kinks were booked for the first festival but cancelled. 1500 party goers came together to listen to Marc Bolan and Tyrannosaurus Rex, (later shortened to T Rex). Other acts included Quintessence, Stackridge and Al Stewart. The festival was sadly held the day after Jimi Hendrix’s death. The festival tickets were £1 and it included as much milk as you could drink from the cows at Worthy farm. T Rex was paid out of the ‘milk money’ and the festival made a £500 loss. In 1971 Glastonbury fair was a free event run over the summer solstice. It was planned by Andrew Kerr, Bill Harkin and Arabella Churchill. Arabella, granddaughter of Sir Winston Churchill went on to set up and run the Theatre events and founded the Charity ‘Children’s World.’ Andrew and Arabella were described as ‘Upper Crust Hippies,’ they changed the name of the festival to ‘Glastonbury Fair’. Andrew was said to have sold his father’s collection of antique shotguns to fund the event. This was the year the first Pyramid Stage was built from scaffolding covered with expanding metal and plastic sheeting. Bill Harkin conceived the idea of building the stage as a one-tenth replica shape of the Great Pyramid of Giza. The Pyramid Stage was built on a Ley line which was identified by dowsing. 12,000 festival-goers attended performances by David Bowie, Hawkwind, Traffic, Flash Gordon, Fairport Convention, Mighty Baby, Gong, Skin Alley, The Worthy Farm Windfuckers, Melanie, Brinsley Schwarz and Edgar Broughton Band. In 1978 the Stonehenge summer solstice celebrations were washed out due to rain. An impromptu free entry festival was put on at the festival site for 500 festival goers. In 1979 Michael’s daughter Emily was born. Bill Harkin and Arabella Churchill ran the festival in aid of the United Nations Year of the Child. Michael Eavis was loaned £15,000. 12,000 Festival-goers paid £5 to see The Sensational Alex Harvey Band, Tim Blake, Peter Gabriel, Sky, Steve Hillage and Footsbarn. Despite the loan and the line up, the event unfortunately made a huge loss. In 1981 Michael Eavis organised the festival though his company ‘Glastonbury Festival Ltd.’ He linked up with The Campaign for Nuclear Disarmament. The Theatre marquee was added. A new permanent pyramid stage was built with telegraph poles described as a cow shed and hay barn to pass planning objections. Much of the materials were believed to be repurposed from the Ministry of Defence. This was the first year the Festival made money 18,000 festival-goers paid £8 to see New Order, Hawkwind, Ginger Baker, Gong, Aswad and the Thompson Twins. 5’000 children were given free entry to the festival. £20,000 was raised for CND. 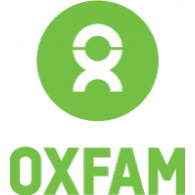 Since the cold war had finished the festivals main beneficiaries were Oxfam and Wateraid. These charities provided volunteers who worked at the festival in exchange for free entry. The 1982 festival saw the highest rainfall in 45 years. This led to scenes of festival goers swimming in mud. Improvements were made to the children’s world area including free rides in a miniature steam train. An anti-festival banner was displayed by a circling light airplane during the festival. 25,000 festival-goers paid £8 to see Richie Havens, Van Morrison, U2, Roy Harper and Jackson Browne. £45,000 was raised for CND and various local charities. 1983 New legislation from Mendip District Council made the festival obtain a license. £28,000 was spent improving facilities including improved toilet and sanitation. Radio Avalon was set up. 30,000 festival-goers paid £12 to watch UB40, Marillion, King Sunny Ade, Fun Boy Three, Dr John, Curtis Mayfield and Alexei Sayle. 1984 The Festival successfully defends itself in court against the council after being accused of breaking licensing conditions. The Green field was set up to encourage environmental and spiritual activities. There was a mass stage invasion during The Smiths set. The tickets were sold on the gate and £60,000 was raised for CND and other local charities. 35,000 festival goers paid £13 to see Elvis Costello headline the night for 3 hours. Other performers included The Smiths, Weather Report, The Waterboys, Billy Bragg, Black Uhuru, Ian Dury and Joan Baez. 1985 100 acres of neighbouring Cocksmill farm was bought to accommodate the growing festival. Another wet year 40,000 festival-goers paid £16 to watch The Boomtown Rats, Echo and the Bunnyman, Joe Cocker, The Style Council and Hugh Masekela. £100,000 was raised for CND and local charities. 1986 The Classical Music marquee was added. £130,000 was raised for CND and local charities. 60,000 festival-goers paid £17 to see Madness, Psychedelic Furs, Simply Red, The Cure, and The Pogues. Norman Cook performed with the Housemartins. Norman is a big supporter and went on to perform as Fatboy Slim for four consecutive years. 1987 Mendip Council tried to refuse a licence and it was only overturned in May at court. The Womad stage was added for international performers. Improved medical, welfare and recycling facilities were set up as well as a sanctuary for the lost and injured. 60,000 festival- goers paid £21 to see Van Morrison, The Communards, New Order, Elvis Costello, Ben E King, Courtney Pine, Michelle Shocked and The Communards. 1989 Forty more acres of green fields was added to the Festival to encourage teaching and learning, pagan rituals, yoga and tipi building. One hundred acres of parking was added. Police were admitted to the festival to cope with drug and crime problems that had occurred in previous years. Problems were reported with unofficial sound systems springing up around the site playing loud late night electronic house music sometimes as loud as some of the stage sound systems. 65,000 festival-goers paid £28 to see Elvis Costello, Van Morrison, The Pixies, The Proclaimers, Fela Kuti, Hothouse Flowers, Suzanne Vega, The Bhundu Boys and The Wonder Stuff perform. 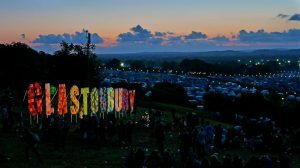 1990 The Festival was renamed ‘The Glastonbury Festival for Contemporary Performing Arts’ to reflect its diversity of performance at the festival. Riots broke out involving new age travellers and the security team, £50,000 of damage was done and 235 arrests made. This was named ‘the battle of Yeoman’s bridge.’ 70,000 festival-goers paid £38 to see De La Soul, James, Paul Oakenfold, Sinead O’Connor, Archaos, The Cure and Happy Mondays. 1993 The Field of Avalon was added as another alternative music venue. The Sacred Space at the top of the festival was added. The world music area was renamed the Jazz Stage. The twice daily litter picking was introduced. 80,000 tickets at £58 sold out by the Middle of June. 1993 was another dry weather year. Performers included The Black Crowes, Christy Moore, Primal Scream, Lenny Kravitz, Jamiroquai, Galiano, Robert Plant, Rolf Harris, Stereo MCs, The Velvet Underground, The Orb, Suede, Teenage Fan Club and The Kinks.